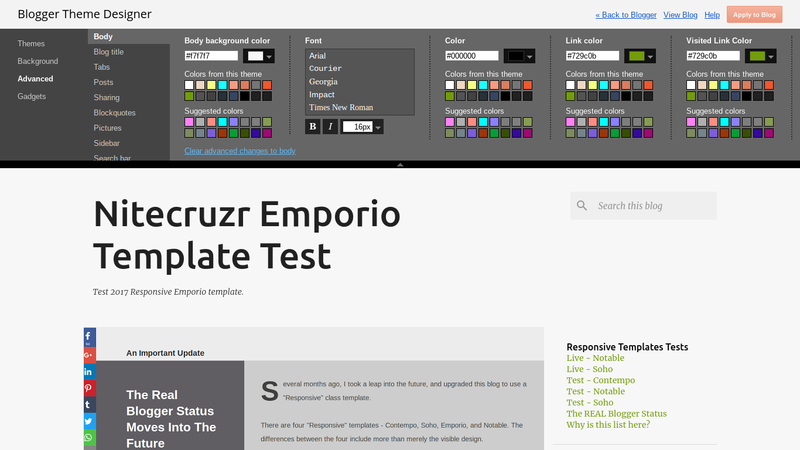 The Theme Designer rocks. 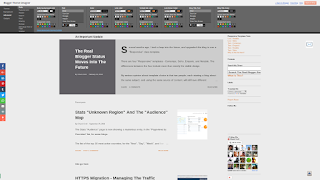 There are GUI adjustment / selection wizards, for dozens of theme objects, in any given blog. You can make font and color changes, using various GUI wizards - and see results, in real time. And the wizards are logically grouped, by function. 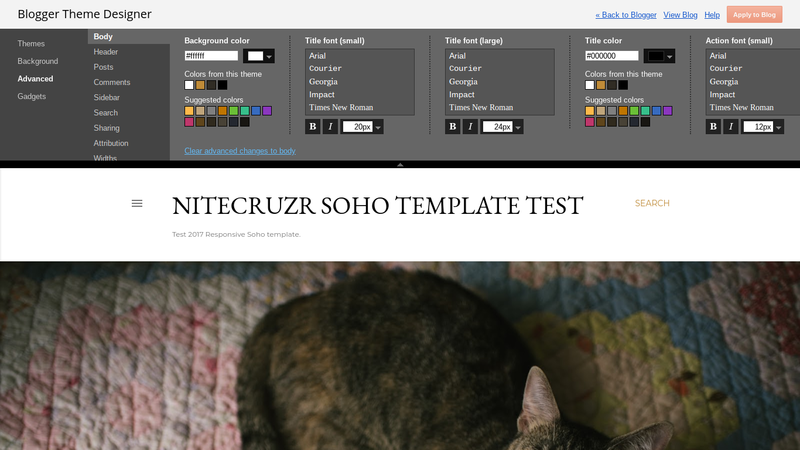 If you know what objects you need to change, you can tweak your blog theme, without worrying about CSS coding. But depending upon the browser zoom level, some of the available wizards may not be immediately visible, on some "Advanced" submenus. 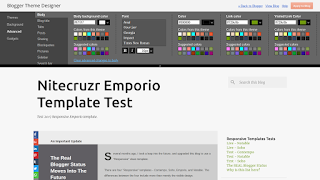 Some of the Theme Designer submenus may have more selections than you see, immediately. 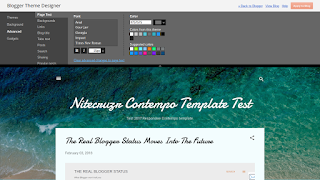 Look at the "Advanced" menu, in the "Theme" / "Template" Designer menu, for your blog. You will see an assortment of menus - and wizards in the menus. 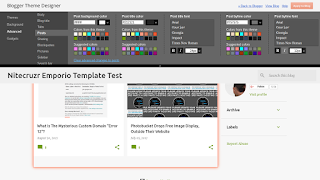 You'll see various color and font selection wizards, with varying titles. The menu groups will vary, too. It's possible that each different theme has a different menu setup. 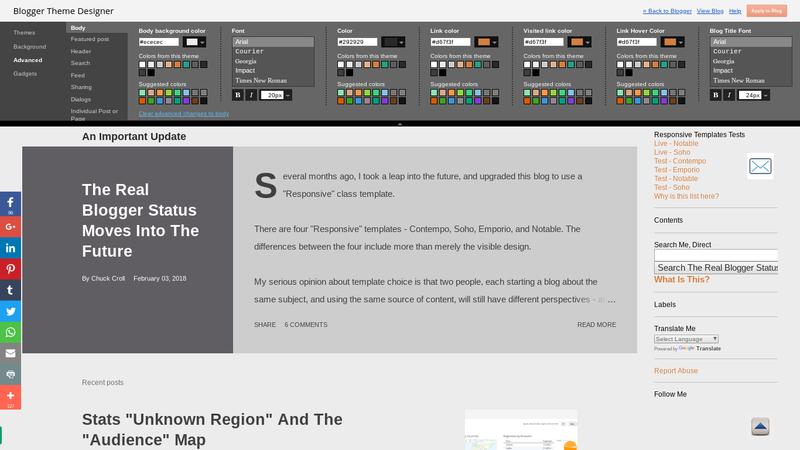 Look at the submenu structure, for "Advanced", for each "Responsive" theme. 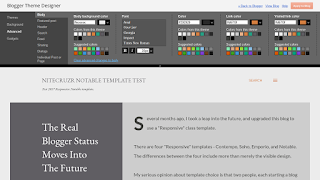 Let's examine a couple "Advanced" submenus, for each of the "Responsive" themes. 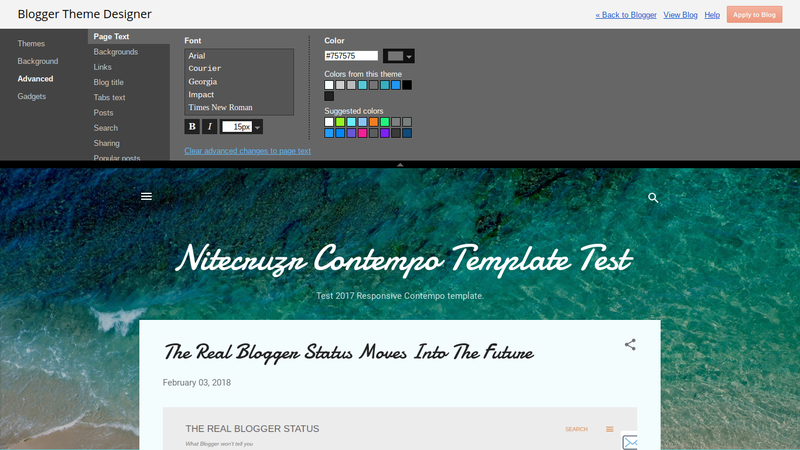 If your blog uses a "Responsive" theme, you can examine your Theme Designer as you follow my examples. 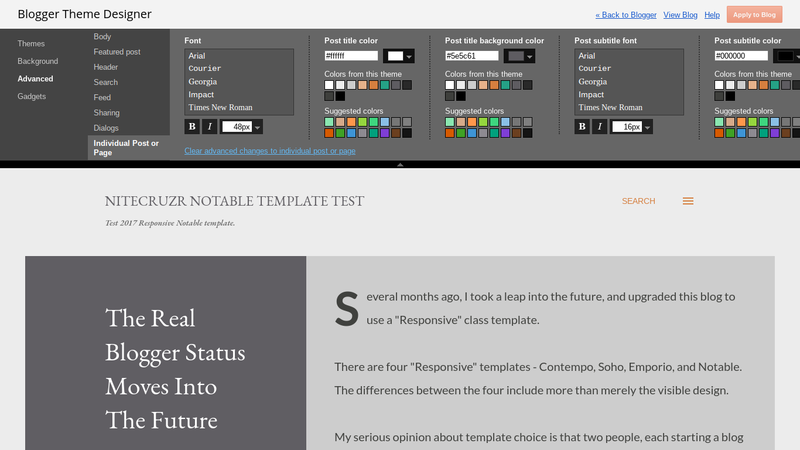 Non "Responsive" themes may be equally intriguing. I'll look at the "Advanced" menu home page, then at one submenu "Posts". 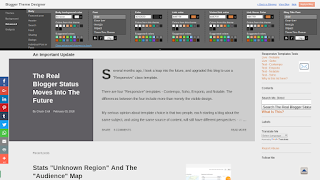 The submenu will vary, with "Notable". Notable "Individual Post or Page" submenu. Some "Advanced" submenu entries may have more selections than you may realise. Look at each submenu. Some have at least 5 wizards - but you may see only a few. If you use a different zoom level, you may see more - or less. 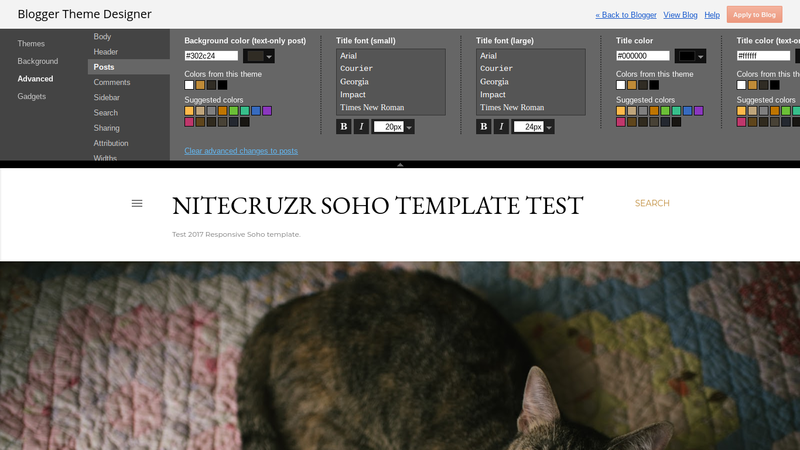 If you see a submenu with wizards filling the horizontal space, zoom out (make the display smaller) - or grab / touch the content, and slide. You may see more than meets the eye, at your normal zoom level, if you zoom out then look again - or if you slide the content. From what I can tell, there's no horizontal scroll bar, so no way to tell if scrolling would be useful. Depending upon what zoom level you use, you might see 4, 5, or more wizards - and more may be hidden. 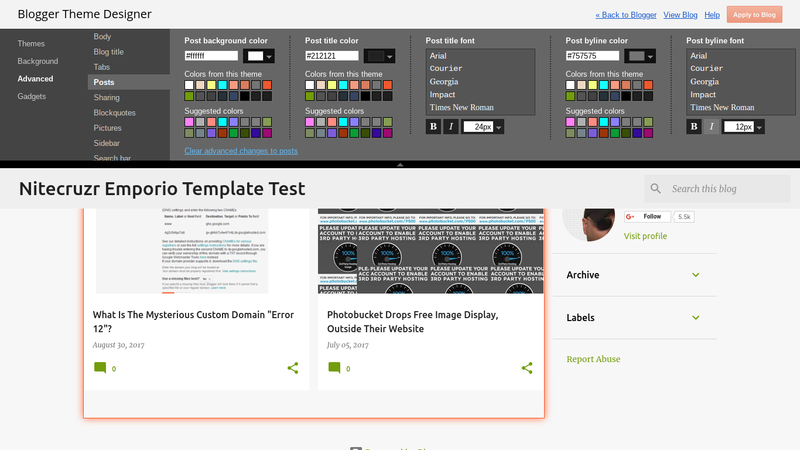 If you slide the content, you may see more selections. 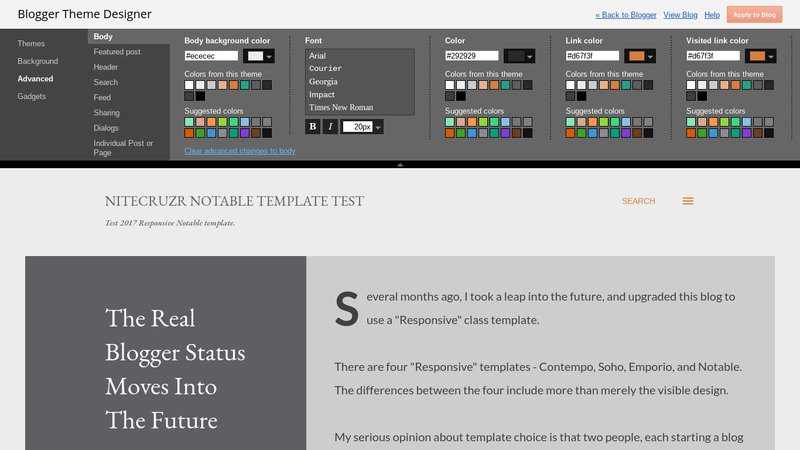 Look at the "Notable" theme, and the "Body" submenu, for example. For the "Notable" theme, and the "Body" submenu, there appear to be 8 wizards. Depending upon zoom level, I normally see only 5. At 100% zoom level, I see 5 wizards. Zoom out to 75%, I see 7 wizards. I zoom out to 50%, and I see 8 wizards. My apologies if this makes your eyes hurt - I don't find zooming out very pleasant either. That's pretty sad. How many blog owners know about all of those useful wizards, in "Notable"? Any, or all, of these may not be visible, to you, in the "Body" submenu for "Notable". Maybe you've wondered why one of these theme objects have no Theme Designer wizard - even if they do. The wizards are just not immediately obvious. I looked at the "Individual Post or Page" and "Sidebar" submenus, briefly - and they, too, may have more than meets the eye. And that is just "Notable". What more useful hidden wizards, might we find, for "Contempo", "Emporio", and "Soho"? What about older (non "Responsive") themes? 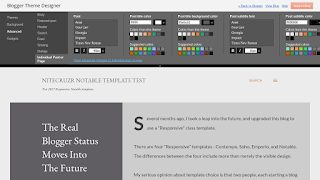 The "Variable definitions" template section can't be used, to explore this in depth. We'll never know, until we look. 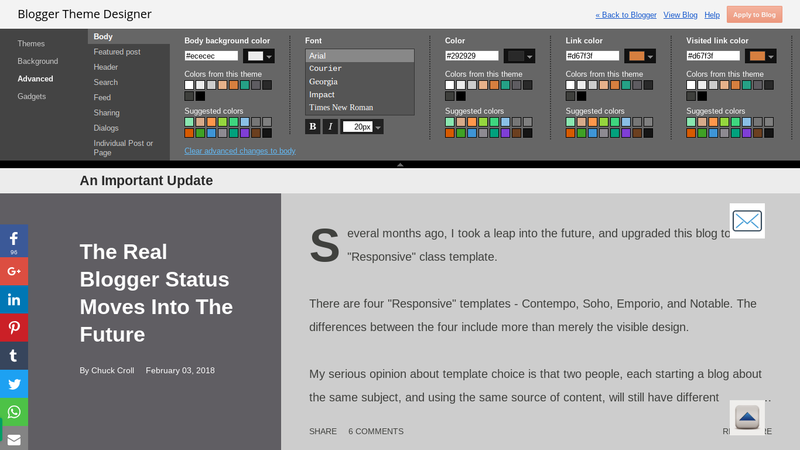 The unfortunate detail is that comparing the submenus in the "Responsive" themes has to be done visually, as above. 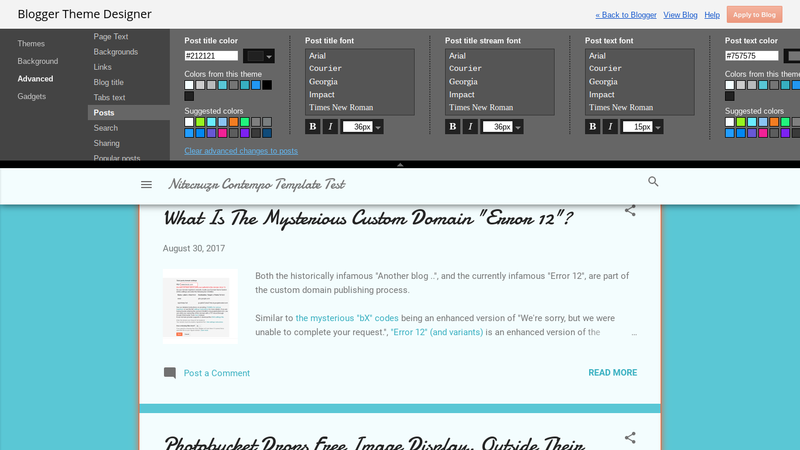 I had hoped to examine the menu code, as I explored, long ago, in Improving The Designer Template GUI Advanced Menu. This would be so much easier to understand - maybe, to correct - with template code, provided as text. Unfortunately, the four "Responsive" themes appear to lack the easy to read "Variable definitions" section in the template code. I'll have more about this, later. 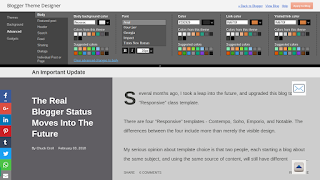 If you casually scan the various "Advanced" submenus, in the #Blogger Theme Designer for the "Responsive" class templates, you may not see all of the choices available to you. Depending upon what zoom level you use in the browser, some wizards may not be visible in the horizontal display. Some wizards may be part of a given submenu - but may be left or right of the visible wizards. You have to zoom your display out, to see some wizards that are available to you - or grab and slide the display. Hi Chuck. I have followed you for some time after you have helped me before. I shudder to use anything new as I am afraid of changes made that I know nothing about. I am trying to publish this to see if I can yet comment on others' blogs. Glad to hear from you and will maybe try another template in the future.